Among your many resolutions this new year: take advantage of our fair city, steep yourself in its history and revisit some of its classic old buildings. Especially the ones that serve hundreds of beers. Say hello to Bier Baron, the new incarnation of the old tried-and-true Brickskeller. 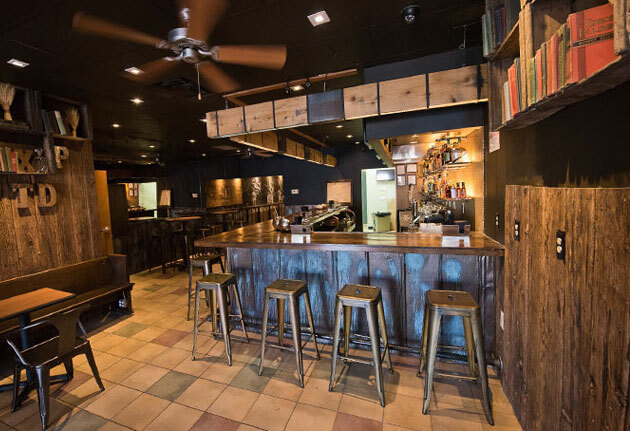 You’ll recognize the heavy wooden door leading to the dark bar festooned with beer memorabilia and the all-brick dining room lined with antique beer bottles and cans. What you might not recognize: its sparkling clean appearance and a new bottle list, 500 strong and organized by style, which the staff adjusts daily when they run out of something. For now, you’ll focus the attentions of your beer-loving brood on the first-come, first-served rare beers left over from the previous owner’s stock (think Dogfish Head ales that have been cellared for years) while you work your way through Bavarian pretzels and mussels steeped in IPA. But you’ll want to keep checking back over the next few weeks. That’s when 50 draft lines will debut (25 of them in the newly refurbished upstairs bar), not to mention a new menu designed by PS 7’s pastry chef. Expect prime rib sandwiches, a pick-your-shape french fry menu (you always thought the waffle-cut got short shrift) and desserts like beer floats and deep-fried cheesecake. And in early spring, you can expect the 42-room inn upstairs to reopen.